Neurofeedback has been in use since the 1960s for brain health. High performance neurofeedback (HPN) uses FDA cleared hardware. It has been in use since 2009. HPN monitors the brainwaves and echoes a tiny signal back to the brain related to the original wave. Like holding up a mirror to a dancer, the brain “sees” itself and appears to self-correct. 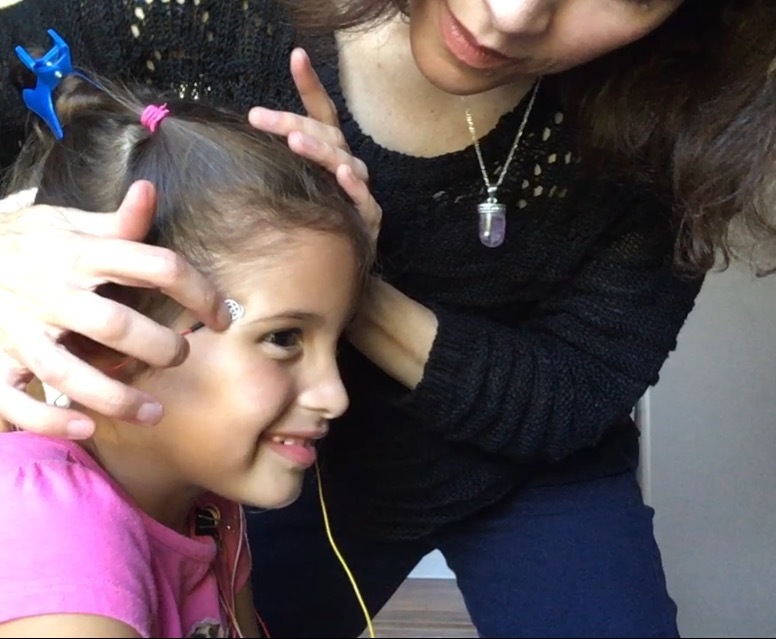 Unlike with traditional neurofeedback, with HPN the client doesn’t do or feel anything. HPN is drug free, safe, and relaxing, and often produces initial results as early as the first session. It has been found effective in addressing symptoms of traumatic brain injury or concussion, PTSD, AD/HD, anxiety, depression, addiction, insomnia, and some types of migraine as well as helping those with autism spectrum and sensory processing disorders, particularly with self monitoring and self regulation. While response is rapid, typically within 1 to 4 sessions, lasting results sometimes take 10 to 20 sessions or more. At first, improvement is short-lived. By completion of a set of training sessions, results are expected to last, and often continue to increase over time. Therapist Rachel Smith uses HPN with adult and young adult football players, amateur or professional. According to Smith, “Regardless of whether or not they were ever diagnosed with concussion, sub concussive micro damage can cause a decrease in neuronal function that can lead to trouble in life. The symptoms frequently do not show up immediately, which tends to hide the cause.” She continues, “I use both HPN and craniosacral therapy to help increase neuroplasticity, which is the brain’s ability to reorganize itself.” Reaction time, flexibility, responsiveness, and ability to bounce back in life all depend on neuroplasticity and increasing it allows the brain to compensate for injury and disease, and adjust to changes in the environment. HPN can be used as a stand-alone practice or to augment other therapies. Smith often uses Craniosacral therapy in conjunction with HPN. It is a non-invasive hands-on technique rooted in osteopathy that works with the membranes surrounding the central nervous system. Its objective is to remove impediments to the flow of cerebral spinal fluid and restore physical and energetic balance. Craniosacral therapy facilitates the body’s ability to heal itself. She also incorporates near infrared therapy in her practice to help with inflammation. Says Smith, “I find it helps calm people’s bodies in the event of triggers such as panic attacks, flares, headaches, seizures, muscle spasms, pinched nerves, myofascial pain, and emotional reactivity.” Infrared light therapy devices have been used extensively in sports medicine clinics, by the United States Olympic teams for tissue injuries in its athletes, physical therapy clinics, neurofeedback offices, and racehorses. Studies have shown it shortens healing time. The use of multiple modalities in her practice makes Smith unique in the Cincinnati area. Rachel Smith is a high performance neurofeedback clinician with 19 years experience as a massage and Craniosacral therapist with an office at 75 Cavalier Blvd Suite 206, Florence, KY. To schedule an appointment or for more information, call 859-739-3489 or visit RachelVSmith.com. James Occhiogrosso is a natural health practitioner, herbalist and author of several books. Connect with him at 239-652-0421, email DrJim@HealthNaturallyToday.com or visit HealthNaturallyToday.com.